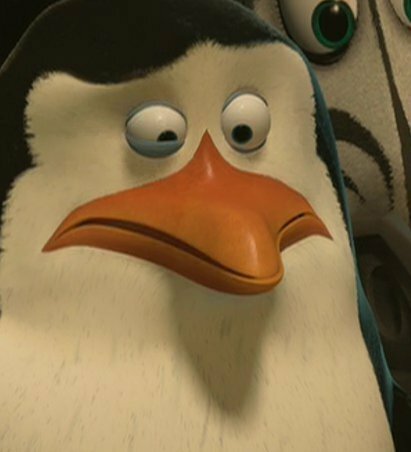 Skipper's Twitching Eye. . Wallpaper and background images in the Penguins of Madagascar club tagged: penguins of madagascar skipper madagascar 2. Skipper were you drunk and making out with Lola? Skipper: Lilly, I can explain! Me: DAMN RIGHT YOUR GONNA EXPLAIN........COME ON! Everyone present: HA HA HA HA HA!!!! Marty: MAN! He's WHIPPED!! HA HA HA HA!!! ...well, I could keep going but I won't. Anyways, his eye twitching problem is rarely a serious problem as long as he pays better attention to his health. YOU HEAR THAT SKIPPER! PAY BETTER ATTENTION TO YOUR HEALTH! Good. O.k. Me:Skipper darling what happened to you? Have you been working too hard? Skipper: No Jennifer sweetie,I--ugh something's wrong with my eye. Me: Well, get a doctors appointment, or get Kowalski to check it. Skipper: Okay honey you win! I'll be right back and then we can do stuff together. Me: Oh Skipper, I may be almost a young woman but that still sounds wrong.